Well it started small, and as things happen it got a little out of hand and bottles just kept getting opened. A mate was cleaning out the cellar and asked a few buddies to join in a tasting of random wines – all Margaret River – from 1989 to 1999. The following are brief notes on the wines. The wines are scored as per wine show criteria and based on all tasters feedback. Yes, I hate pointing but in a tasting of this nature it’s helpful to be able to ‘rank’ the wines, as opposed to scoring on a single basis with no comparative. The wines were also tasted before food, and during food, and this affected the results somewhat. They were also tasted over several nights because there was shitloads left and we didn’t want to throw them out. The wines, by admission, had travelled widely and the storage had been less than desirable on occasion, but all were judged on the merit of the glass in front of us. Comments below referring to brettanomyoces are for information purposes only, and not to fault the wines unless excessive. It should be understood that it was not until the late ‘90’s when Australian winemakers really learned what brett was all about and how to handle it. Too late for a few of these wines. Browning coffee colour. Initial hit of tar and char, some medicinal mint – befitting both the location and producer – and the merest, tiniest hint of brett. Opened to coffee and chocolate characters, potpourri and the scent of an Indian spice market. The palate opened ragged and raw, but boy did this one settle down with plush, plummy, blackcurrant fruit. Bloody good and still looking the goods on night three – 18. Browning coffee colour. Smoked meats on the nose, cedar and tobacco, a touch sweaty with some vegemite aromas which I would normally associate with low-level brett, but in this case I think it more age and site-related. Further on the nose: tar and char, inky redcurrants and perfumed spice, and a touch of curry. There’s a lean-ness on the palate and a contrasting richness which, after time in the glass, takes over. Very bloody good, although had diminished on night three – 18.5. Herbal blackcurrant, meaty and leathery – showing its age. There’s some lingering richness and coffee choc flavours, but on the whole this wine was viewed as past best, drying and tired. But not bad for the ‘standard’ label – 15. Browning coffee colour. Lovely earthy blackcurrant and trademark Xanadu mintiness. Dense molasses and tar, cocoa butter, some herbal elements but also sweet confection and spearmint. Structure still sound, tannins a little dry perhaps but this is very smart for it’s age – 18. Red brick colour. Earthy blackcurrant, dusty, marshmallow sweetness. A driving tarry aroma hits hard and genuine primary blackfruits. Looks quite fresh. The bouquet offers floral scents of violets, rose-petal and lavender, plus an attractive hint of Thai green curry paste. Huh? Yeah! Palate is weighty for the age, with dense red and blackberry flavours, earth, spice, and just the slightest hint of brett which I was quite happy to forgive. Nice – 17.5. Lighter, transparent brick red colour. Intense blackcurrant. Clean, lifted aromas. Straightforward and still quite neat structure – firm tannins, acid still hanging – aromas of mint, choc cherry. Raspberry and redfruit flavours. Simplish, but elegant, and a good blend of savoury and sweet. Loved the food. Nice gear – 17.5. Warm brick red. Hints of bandaidy brett – a little too much – but behind that we have some lovely dense, brambly blackberry and some very stylish oak, fresh. Bugger the brett. Tarry and charry BBQ meat. Savoury/sweet. This could've been a contender but the brett killed it’s chances – 15. Warm brick red. Meaty and herbal, dusty – some black tar and a touch of perfume. Some Indian spice on the palate, blackcurrant/blueberry. But something’s not quite right. Maybe cork, hard to say. Expected better – 15. Dark brick red. Dusty black olive, fresh savoury/sweet combo. Raspberry redcurrant, plummy. Strong core of cedar and gum (classic Leeuwin). Satsuma plums and tar. Densely layered, fresh, sumptuous. Teeniest hint of brett but nothing to be concerned with. Tannins still firm, but generally structure holding up splendidly. This is good – 18.5. Dark brick red. Touch of brett leaps out but a vein of dark chocolate richness sweeps in. A ripe year in ‘95 and you can see it here. Light and airy sweetness on the palate – redcurrants and blueberry pie. Another goodie spoiled by excessive brett – 15. Inky brick red. Wow. Hallmark Xanadu mint leaps out of the glass, sweetish yet tarry. Blackcurrant velvety richness, great length. Meaty, curry flavours spring to mind also. In pretty smart condition and came alive with the spicy food later in the eve. A good one – 18.5. Something wrong with bottle number one, and a subsequent bottle was marginally better. Safe to say the wine had succumbed to faults and/or possible cork issues. I’m afraid the brett fairies have escorted this wine to the back of the secret garden where we can no longer see it for the good wine it once probably was. Inky-black deep red. Bounced out of the glass with Margaret River maritime fishiness – not altogether a bad thing. Some burnt rubber sulphidey issue which caused a second bottle to be opened which fared better. Smoky and minty, sweet/savoury stuff going on, dark and red-fruits, with typical blackcurrant richness. A warm year in Margs, and although this was not earth-shatteringly good, it’s holding up pretty well. Or this bottle was – 16.5. Hmmm. Vegemite and vomit unfortunately. That’s about all I can say. In summary, this was a very good smattering of older Margaret River cabernet, from a cellar that has apparently been well-travelled and spent occasional periods under somewhat poor conditions. 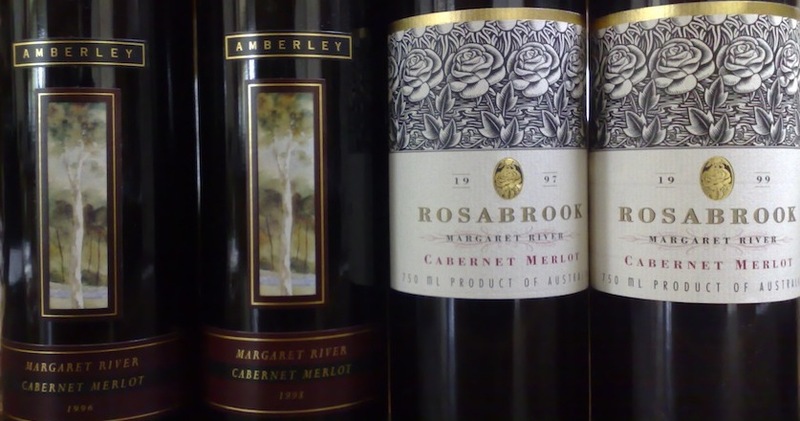 This tasting showed the strength of Margs cabernet to go the distance, and particularly the wines in the cooler years where, in their youth, richness and flavour may have given over to structure and form. 1989 – a wildly under-rated year of inclement weather and intense bird pressure, but this tasting proved the ugly ducklings could be belle of the ball. 1990 – considered a very good year. A dry, mild summer allowing grapes to reach full sugar/flavour ripeness. 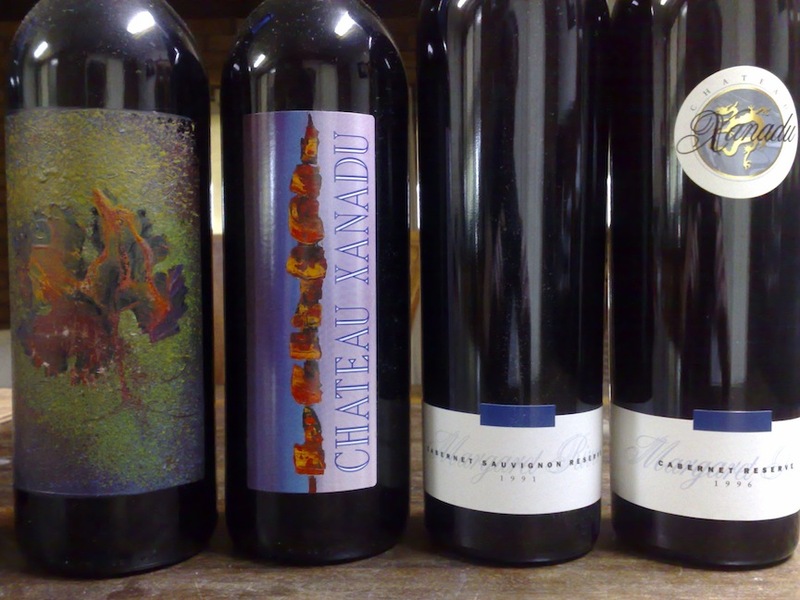 Some excellent wines produced. 1991 – one of the best, although the debate rages between this and 1990. Some heat spikes early in vintage in an otherwise ideal harvest season. 1992 – considered a Jekyll/Hyde vintage. The winter and spring was difficult, yet summer turned on the good weather. Late rain during vintage impacted some. All about structure. 1994 – another of the best – perfect ripening conditions. Cooler later in the vintage but this year the structure was matched by richness and flavour. 1995 – hot baby, hot. But even under these conditions Margaret River showed what it’s made of with wines of power, yet finesse. Great year. 1996 – another very good vintage, with ideal ripening conditions producing wines of fine structure and flavour concentration. 1997 – a good year that almost wasn’t. The weather gods kept the rain at bay and Margaret River basked in sunshine and warmth. 1998 – a mixed bag, with mid-harvest rains and bird craziness. Those who waited out the rains were rewarded with ripeness and structure. A difficult year. 1999 – late season, and warm/hot. Some mid-harvest rains again but wait, wait, wait was the buzzword. Some big flavours in this year and matching structure. A beauty. 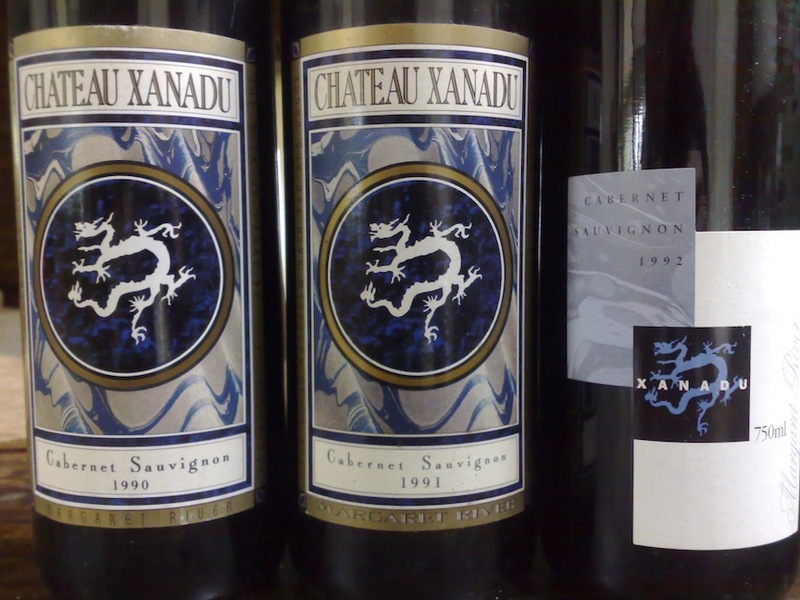 Nice post and interesting to see how well those Xanadu Reserves showed up. Not a wine I often think about given how many other great Margaret River Cabs there are about. Thanks Red. For a while in the early '90's Xanadu was feted as the next big thing. The Reserve cabs were all pretty smart, and value too. But they may have taken their eye off the ball when they sought rapid growth through investors, fund-raising and public listing, and it all went to pot in the late '90's. A few other MR producers learned the hard way too. Maybe wineries need to keep it simple to keep it real. Now I would have loved to have been there, not as a fly on the wall but taking part. This is a feats of the regions best. I have had the 94 Mosswood many times and this has to be a firm favourite of mine, sorry to hear about your bottle, I can only presume it was definately corked, as this is an amazing wine, even in such good company. I love your round up of the years from 89 to 99. In all sound advise and I look forward to sharing. 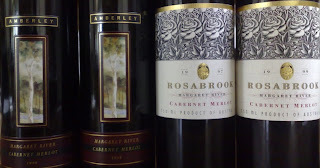 I love everything from the Margaret River, especially the shiraz and cabernet.